If you want to retire early, you need to practice certain financial habits right at this very moment. But before we dwell into that, let us define what early retirement is all about. For most people, retiring early does not necessarily mean you will lounge around all day doing nothing. This may seem appealing to someone who is stressed out because of all the things that they need to accomplish on a daily basis. Believe it or not, that is not how you will end up. Even the rich people do something productive with their time even if they no longer need it. The real goal of early retirees is financial independence. This is when you are in a financial position wherein you do not need to work in order to finance your basic needs. You have saved enough money that will allow you to live off of it without the need to go to a job each and every day. This leaves you with a lot of time to pursue what is important to you. That can be a hobby that you can turn into a profit-generating business. You can apply to the low paying job that you know will make you happy. It can also be pursuing your dream of traveling abroad. Or it could be investing more of your money to earn more money. The bottom line is, early retirement is not being concerned whether you bring in money every month because you know that you have the funds for your basic needs. Given this definition of early retirement, you will realize what financial habits you need to work on in order to make it a reality in your life. One of them is saving. According to ThinkAdvisor.com, 45% of Americans were saving and investing more in 2015. This was an increase from the 38% of 2013. This data was taken from the study done by Fidelity Investments’ Retirement Savings Assessment. While this is a big number, you need to realize that the majority is not saving more. If you really want to work on your retirement and you have big dreams for it, you need to start working on it right now. It doesn’t matter how young or old you are. The earlier you start, the earlier you can retire. There are a couple of signs that you are financially ready for early retirement. Things like not having any debt or not being financially reliant on anyone except yourself and your spouse. In order for you to reach this financial state, you need to practice the right financial habits first. 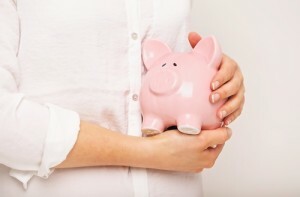 When it comes to the right money habits that will lead to an early retirement, there are 5 that you need to be doing right this very moment. This is actually not a habit but more of a state of mind. We are discussing this first because this will affect the other habits that you will be practicing in your life. When you put yourself first, you will realize the value of saving for YOUR future. There may be a lot of financial obligations right now that involves your kids or a parent who is financially dependent on you. Their needs may be important but you have to think of your own needs first. You do not want to be a burden to your kids in the future. And you do not want to compromise the type of life that you could be living in retirement just because you were too self-less in the past. Make sure to put yourself first because it will easier to take care of others if you know that your own needs are met. Picture what you want out of retirement. The next habit that you need to practice is always picturing what you want to happen when you retire. Be very detailed about this. Do you want to live in your own home or do you have plans of traveling? How do you want to spend your daily life? Will you continue working on a job that you want to pursue? If you can cut out photos that you can display in a visible area – do it. This will help keep you focused and motivate you to practice the other financial habits that we will be discussing. Know how much you will need. Once you know what you want out of retirement, the next habit that you have to develop is to educate yourself about what you need to reach it. This may seem like a one time activity but when it comes to your retirement – it is not. You need to continuously update what you know about the market, what you need and all the other information that will affect your life. Sometimes, our priorities change over time. You need to monitor the changes and make the necessary revisions in your retirement plan. You may end up with certain needs that your initial plan did not consider. For instance, you may have to spend more money on health related costs because of an ailment you developed over time. These are considerations that you have to look into every now and then. This is probably the most important of the financial habits that you need to practice. You need to save money. This is how you can build up the funds that will finance your early retirement. If you cannot save money, there is no way for you to retire. Remember, you need to live off this savings if you really want to stop working a full-time job. The more you save, the bigger the funds that you can use in retirement. The other thing that you need to start working on is downsizing your lifestyle. This is not just in terms of size – but cost too. Usually, smaller means cheaper. A smaller home is not only cheaper to buy, but will cost less to keep too. You do not need to spend a lot of heat it up or make it cooler. According to an article published on RealtyToday.com, some homeowners who have downsized their houses have released $100,000 in equity. This allowed them to put more money into their retirement fund. Of course, this is not the only way for you to downsize. Practicing this as a habit would mean being frugal about everything. You should spend and consume only what you need. Anything in excess should be saved to go to your retirement money. It is pretty obvious how your financial habits can affect your ability to retire early. The final two habits, saving and spending less, will probably expedite your early retirement. It is not really about having a big savings. It is also spending less of your money. Being content about spending less will allow you to lower your retirement fund standards. Combining the bigger savings will help you meet your goals much faster. According to a study published on AllianzUSA.com, early retirees have specific traits that helped them reach their goals of early retirement. The data was taken from the “LoveFamilyMoney” study by Allianz. They studied 4,500 Americans to determine how many plan to retire early and the specific traits that will help them achieve that goal. The study revealed three important traits. Having the right partner. It is not just about love here. Those who are intent on retiring early revealed that their spouse or partner share the same goals as they do. They have the same thoughts about retirement and they both share practical methods to reach their goal. They also are more likely to stay married. The shared goals give them a more definite perception of the future and that is usually one of the things that keep them together. Not afraid or ashamed to talk about money. This is actually one of the underrated financial habits. Your willingness to talk about your finances shows how open-minded you are. It also shows that you are aware of the state of your finances. This is a helpful trait for early retirees. Talking about money allows them to make plans for the future. It should be easy for you to talk about your finances – specifically with your partner or spouse. An open communication does not only allow you to make plans, it also lets you deal with financial difficulties easily. Having financial role models. The final trait that was revealed in the study was that early retirees usually have a financial role model. Most of them use their parents to benchmark their financial progress. Having a role model will help you when it comes to motivating yourself to put in more money into your retirement fund. If you think that your parents cannot be your role model, you may want to consider getting financial tips from early retirees. If you want to be inspired in your pursuit to retire early, here is a video of Mike and Lauren – a couple seriously pursuing early retirement. In this video, they will tell you their plans about finding financial independence and the financial habits they will practice to achieve their goal.